We are honored to welcome four new members to our Steering Committee. Each individual brings valuable experience and expertise, as well as a passion for our community. Jan Burton was a member of the Boulder City Council from 2015-2017, and was awarded Better Boulder’s first Housing Champion Award for her service. Burton is a member of the CU Leeds School of Business Women’s Council, involved in mentoring and hiring students from CU Boulder’s MBA Program. She has been a volunteer for the Boulder Open Space Mountain Parks (OSMP) raptor monitoring program. Burton has worked as an international high-tech business advisor, lived and worked in Europe and the US for Apple Computer, Lucent, and Motorola, among others. She co-founded the Boulder start up, Rhino Cubed, creating tiny structures from up-cycled shipping containers. The focus is on environmental sustainability, design, and affordable living. www.rhinocubed.com. 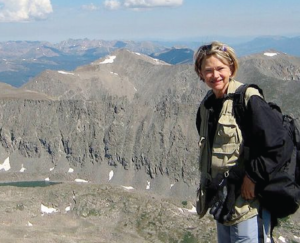 Jan Burton has a strong commitment to the arts and the outdoors and is an avid camper, pilot and photographer. She has served on the Boards of the Colorado Music Festival (CMF), CMF Endowment, eTown, and the CU College of Music. Burton writes a column for the Daily Camera, and a blog about visiting all the National Parks. Shawn Coleman is a graduate of the Julliard School and the University of Colorado Graduate School. Shawn served on the faculty of Music Advancement Program of the Julliard School and was the Principal Clarinetist of the Wyoming Symphony. Coleman continues to serve on the faculty of Kinhaven Music School Junior Session, an elite Chamber Music Program for Middle School Musicians in Weston VT.
During his time with the Symphony he ran unsuccessfully for Boulder City Council and was appointed by Council to serve on the Downtown Management Commission. 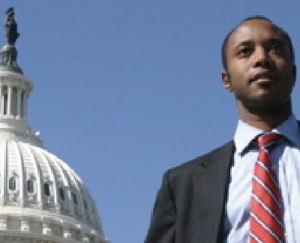 He then worked in Washington, D.C., joining the Legislative Staff of U.S. Representative Jared Polis. After focusing on cannabis policy and financial services in the Congressman’s office, he returned to Colorado and founded the Drug and Social Policy lobbying firm 36 Solutions representing various industry and advocacy clients. Coleman has been the Director of Government Affairs for Terrapin Care Station, a former client since 2015 and continues to represent the Drug Policy Alliance at the Colorado Capitol. He is a member of the Daily Camera Editorial Advisory board, weighing in weekly on matters of local importance. Macon Cowles is a lawyer and consultant in the areas of energy, decarbonizing cities and affordable housing. His firm works to support healthy communities, vital cities, transportation choices, functioning ecosystems, and responsive government. He specializes in representing people in a wide variety of consumer, class action, environmental, civil rights, business and employment cases. Notably he was one of the lead environmental lawyers in the Exxon Valdez case. Cowles has extensive regulatory, business and litigation experience protecting human health and safeguarding air, water and land, ensuring environmental justice and protecting the quality of the human environment. 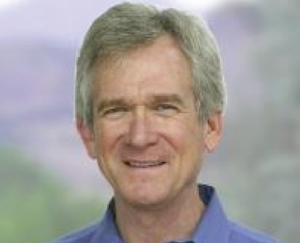 He has served as chair on Boulder’s Planning Board, as a member of Transit Village Area Plan Working Group, as chair of the Sierra Club Indian Peak Group, and for two four-year terms on Boulder City Council where he was Boulder’s representative to the Denver Regional Council of Governments. He has been a passionate advocate for ADU reform. Angelique Espinoza is a former Boulder City Council member. When elected to office in 2007, she became the city’s first Latina representative. She is a graduate of the University of California, Berkeley, and the graduate school at the University of Colorado. Espinoza launched Free Range Geeks, an IT support business, in 2001 with three partners. She served as the Public Affairs Director for the Boulder Chamber. 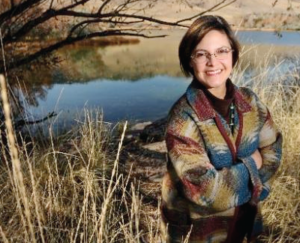 Espinoza has served on the Resource Conservation Advisory Board and the boards of the Dairy Center for the Arts, the YWCA and Impact on Education. She has also volunteered for Intercambio United Communities and Reading to End Racism and served on the advisory boards for Chambers for Innovation and Clean Energy and the Colorado Clean Energy Cluster. Espinoza was a candidate Colorado State House of Representatives. She has worked in key roles on campaigns including Boulder’s broadband measure 2C, No on 300 & 301, Healthy Boulder Kids, Lesley Smith for CU Regent at Large and others. She is a member of Nomad Co-housing, an 11-unit urban community on a one-acre site in north Boulder where she lives with her family.